Deutsche Bank and several other banks were subpoenaed on Monday by the House Intelligence and Financial Services committees as part of House Democratic investigations into President Donald Trump's finances. The full scope of the subpoenas to Deutsche Bank could not be determined. The subpoena is seeking information about loans Deutsche Bank gave to Trump and the Trump Organization, a person familiar with the matter told CNN. House Intelligence Chairman Adam Schiff said the subpoenas were issued to Deutsche Bank and other financial institutions, and that Deutsche Bank requested a so-called "friendly subpoena" from the committees. "As part of our oversight authority and authorized investigation into allegations of potential foreign influence on the U.S. political process, the House Intelligence Committee today issued subpoenas to multiple financial institutions in coordination with the House Financial Services Committee, including a friendly subpoena to Deutsche Bank, which has been cooperative with the Committees. We look forward to their continued cooperation and compliance," Schiff said in a statement. House Financial Services Chairwoman Maxine Waters said in a separate statement: "The potential use of the U.S. financial system for illicit purposes is a very serious concern. The Financial Services Committee is exploring these matters, including as they may involve the President and his associates, as thoroughly as possible pursuant to its oversight authority, and will follow the facts wherever they may lead us." Deutsche has about $300 million in loans extended to the Trump Organization. The German lender is one of the few large banks willing to do business with the real estate developer. The bank has not extended new loans to the company since Trump has taken office. 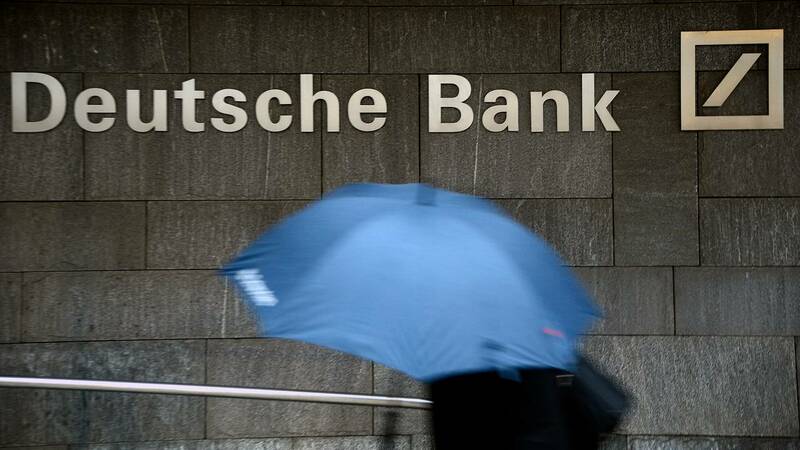 "Deutsche Bank is engaged in a productive dialogue with the House Financial Services and Intelligence committees," Deutsche Bank said in a statement. "We remain committed to providing appropriate information to all authorized investigations in a manner consistent with our legal obligations. If you have questions concerning the investigative activities of the committees, we would refer you to the committees themselves." Eric Trump, executive vice president of the Trump Organization, said in a statement Tuesday the subpoenas are an "unprecedented abuse of power and simply the latest attempt by House Democrats to attack the President and our family for political gain." JPMorgan Chase, Citigroup and Bank of America were the other banks to receive subpoenas Monday from the House committee, three people familiar with the matter said. The subpoenas are seeking documents relating to any business the banks may have had with a list of individuals with suspected ties to money laundering, the people said. Banks request subpoenas from Congress because they need them to overcome rules against sharing confidential client information. The New York Times first reported the subpoenas to the banks. The two committees are working together to investigate Trump's relationship with Deutsche Bank and Trump's finances more broadly, one of numerous avenues that House Democrats are probing Trump and his businesses. House Oversight Chairman Elijah Cummings has issued a subpoena to accounting firm Mazars USA, which the firm requested, for 10 years' worth of Trump financial documents. Trump's former lawyer Michael Cohen provided the committee with Trump's financial statements from 2011-2013 prepared by Mazars, in which he accused Trump of inflating his net worth as he tried to buy the Buffalo Bills football team. In addition, Schiff, Waters and Cummings jointly sent a letter to Capital One bank requesting financial information related to the Trump International Hotel. The bank told the lawmakers it needed a subpoena to comply with the request. When Schiff announced his committee's investigation into Trump's finances in February, he said the probe would examine "whether any foreign actor has sought to compromise or holds leverage, financial or otherwise, over Donald Trump, his family, his business, or his associates." CNN's Manu Raju contributed to this report.